Vietnam is located in the South China Sea. Like some countries in Asia, it has a diverse culture, tradition and a rich history. The most popular things that have influenced them, is the Vietnam War and the French occupation. When we talk about Asia, especially about diving spots, probably some of us will remember Bali, Thailand and Malaysia. You are absolutely right. Nevertheless, sometimes we forgot that there is Vietnam which has beautiful diving spots. 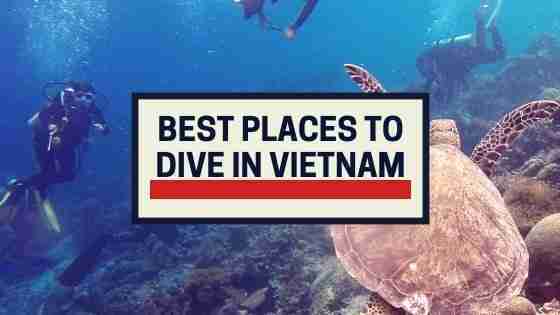 There are several best places to dive in Vietnam. You can ask your colleagues, friends or relatives before you get there. But, no worries, we have a list of the best diving spots there to help you decide. In Con Dao archipelago, there are around 20 diving spots with various difficulty levels. Not only that, you can also admire the natural beauty of this area like landscapes adorned with reefs and colourful coral formations. Believe me; it is extremely photogenic place, decorated by fabulous corals and sponges. 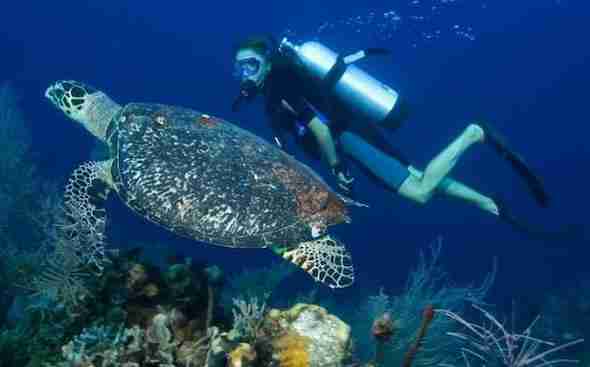 Undoubtedly, it is the key place to see animals like hawksbill turtles, sharks and rays. For decades, Nha Trang’s have been scuba diving capital of the country. It tops the backpacker’s travel list. Years passed and it still defends the title well. It is easy to find diving operator as there are over 20 services there. They offer courses and packages for the beginners and experienced ones. Undoubtedly, they offer extremely attractive prices. In fact, several of the cut-priced diving courses in the world are found here. As a result, if you want your open water certificates, this is your choice, definitely. 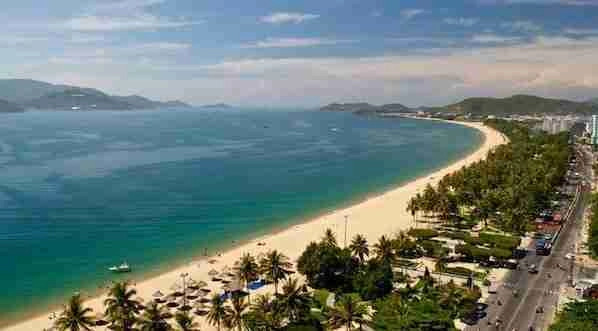 The average water temperature in Nha Trang is 82°F (28°C). Most of the water conditions are clear and the currents are also friendly. Even though marine life may not be the best, but most diving here is done for improving skills and adding experience. In short, there are three favourite locations to dive there. It offers a more complicated and various marine life. You can find seahorses and stonefish. They live by hiding among the countless pinnacles surrounding the island. For your information, Whale Island is a home to eagle rays, manta rays and sting rays. If you are able to dive deeper, you will have chance to see them and when lady luck stand by your side, whale sharks will appear near you. It is suitable for all level divers. It is packed with macro and reef life. There you will find Moray Beach, with its shallow and sandy bottom that is a perfect fit for dive training. There are incredible corals to watch and you will meet scorpion fish, clownfish and black frogfish, the list goes on. Madonna Rock is another site, and here are more caverns which have various depths. Many species of fish used them as shelter to breed. Yes, Nha Trang Bay is the final spot. Besides offering similar experiences from the above mentioned, it also presents another option and other sites to explore. When we compared to the previous sites, these two spots have less diving attention. Hence, the diving potential here is still unexplored. Da Nang is a major port of Vietnam. It is located along the coast of the South China Sea. Meanwhile, Hoi An is 18 miles (29 kilometers) south east. Da Nang most popular diving sites are discovered around Son Tra Peninsula, 7 miles (12 kilometers) north. You have to consider the time, as the best time for diving here is between Februarys to September. You need to avoid other months because of bad weathers which lead to bumpy waters and reduced visibility. Another option is dive off the coast of Hoi An as well. 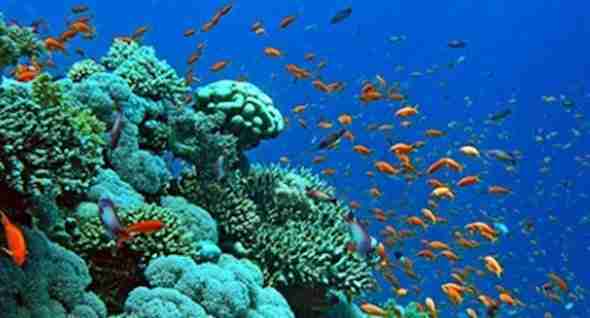 There you will find innumerable different varieties of coral and tropical fish. Cu Lao Cham Marine Park is only 13 miles (21 kilometres) from the Ancient Town of Hoi An. It consists of eight islands in the South China Sea. The area is very crowded with marine life. If you are a beginner, it is a tremendous option because the sites are rather shallow, decorated with swim-through and caves. 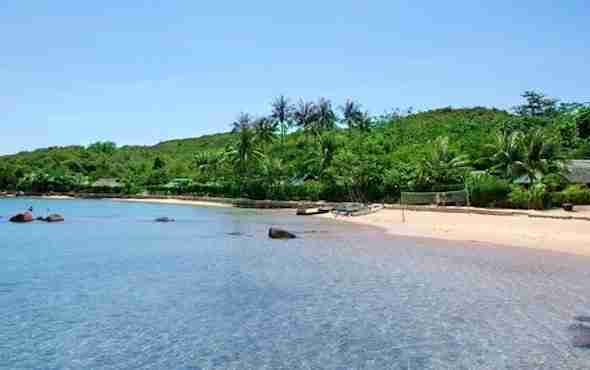 Our last in the list is the little-known Phu Quoc Island. Phu Quoc Island lies close to Cambodia and actually has the finest marine life in Vietnam. The leading dive sites here are the Dry Island and Nudibranch Island. In those two points, you will be able to spot a variety of marine animals, including cuttlefish, octopus, scorpion fish, crustaceans and puffer fish, anemones, damselfish, and moray eels. It has the ultimate conditions for first-time divers because the waters here are clear and calm, sheltered from the strong currents that affect other areas around the island. The An Thoi Islands are for the more adventurous divers. They are a set of 15 islets. It is pretty safe, you will rarely encounter any big sharks and mantas. Nevertheless, there are chances that you will notice some bamboo sharks or blue-spotted rays. Phu Quoc’s depths are mostly undiscovered, and new sites are found every season. Frankly speaking, if you love to dive and looking for some once-in-a-lifetime adventures, then you have to be there. It’s a paradise for divers, even the beginners. Dare to try? Get out and get some tickets for your next holidays before it’s too late! Good luck guys! Compared to Thailand, which is famous with its beaches, Vietnam has a longer coastline. It is 2,025 mile (3,260 kilometers, approximately). For divers, it’s like seventh heaven. They can expect a numerous opportunities to explore the stunning panorama along this extensive and elegant coast. Considering the monsoon season starts from October to January, making the best times to visit the mid to south west coast are between February and October. Therefore from February to June is perfect for diving. 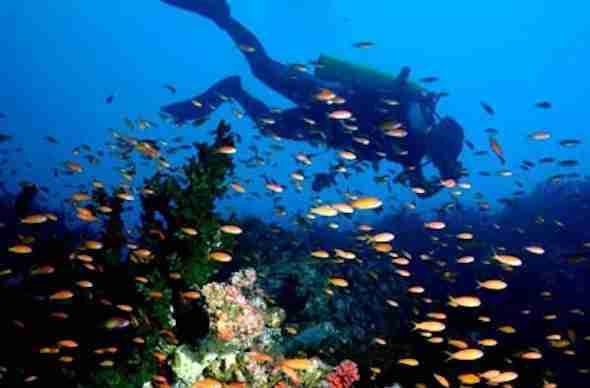 But, for diving at Phu Quoc Island and Con Dao archipelago, the best diving season is from November to March. Finally, to finish on some of the best places to scuba dive in Vietnam. The best time to go there is when the ocean conditions are clear. Also remember, in low season some dive points are closed. And that’s it for now! 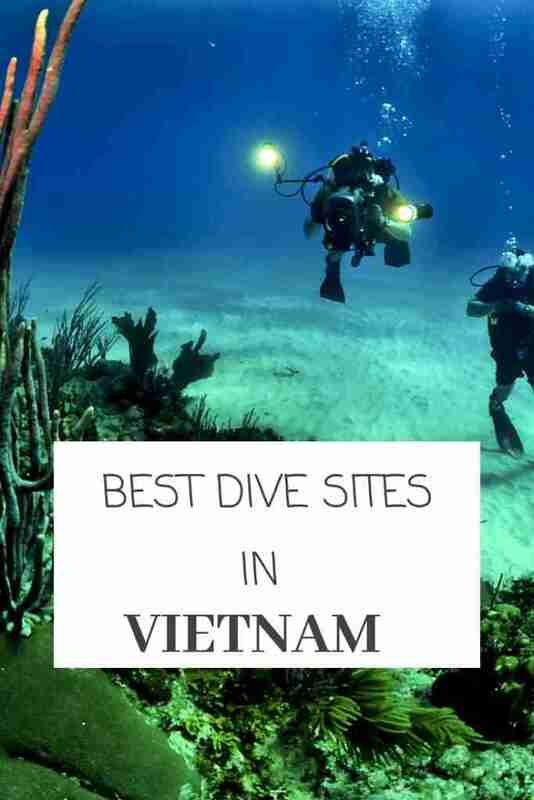 I’d love to know if this guide on the best places to dive in Vietnam has helped you. Let me know if you have any questions and let me know if you go too.